Miranda Wong is a top-selling self-publisher through Digital Print Publishing, a program that allows composers and arrangers the opportunity to upload their music for free to www.sheetmusicplus.com and earn royalties. Composers world-wide have achieved success with this program. 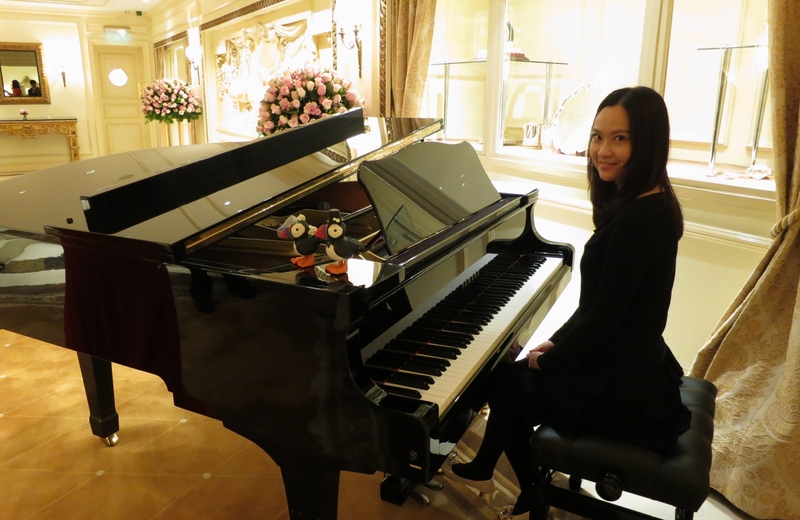 Ms. Wong, a resident of Hong Kong, has had her music played at weddings all over the world. In the following interview, she gives insight into arranging and Digital Print Publishing. 1. How long have you been arranging/composing? 2. What inspired you to begin arranging/composing? Working as a wedding pianist and making piano scores for my students. 3. Who are some of your musical role models? 4. How would you describe your music to someone who has never heard it? Easy listening, soothing, relaxing, touching and romantic music with a focus on arranging classical wedding music for piano and strings. 5. What appeals to you about the Digital Print Publishing Program? The wide variety of arrangements and compositions uploaded by self-publishers makes it easy for customers to search sheet music for their specific needs. 6. What do you feel has been the “secret” to your success with Digital Print Publishing? Including audio clips with the sheet music so customers can hear how it sounds before they purchase. 7. What advice would you give to arrangers/composers looking to get their music out into the world? 8. What are you working on now that may appear on Sheet Music Plus soon? Jazz excercises, arrangements of composer Charles-Louis Hanon, and music for flute/violin and piano. Listen to arrangements and compositions by Miranda Wong on her YouTube channel. Shop all Miranda Wong sheet music.